In fact, this is not about the future anymore; this is about now. As the demand for more affordable, safer and higher-quality food increases, food producers struggle to innovate and reach new markets while minimising costs. #CloudBlending enables any powdered food product to reach any market with lower risk, optimised cost and in record time, based on a simple pay-per-use model. How? Through the world’s first decentralised platform for powdered food design, production and distribution. All over the world, food brands, food designers, raw material producers and other key players are joining #CloudBlending’s platform. In the platform, recipes can be produced in any of Blendhub’s manufacturing hubs in India, Mexico, Colombia and Spain. In a nutshell, once the product enters the platform and is validated by Blendhub’s technology, it immediately becomes replicable and traceable in any of the blending plants. Scaling production, improving recipes with local raw materials and additional know-how support, and optimising sourcing; those are the factors that lead to the best end price for food products. By streamlining the supply chain from end-to-end, #CloudBlending creates value for all kind of players in the industry. #CloudBlending can support a start-up by developing a completely new product from ideation and introduce it in local and international markets in just a few months. A bigger brand can use the platform to manage production peaks or innovate with new products without committing their current production centres and ratios. 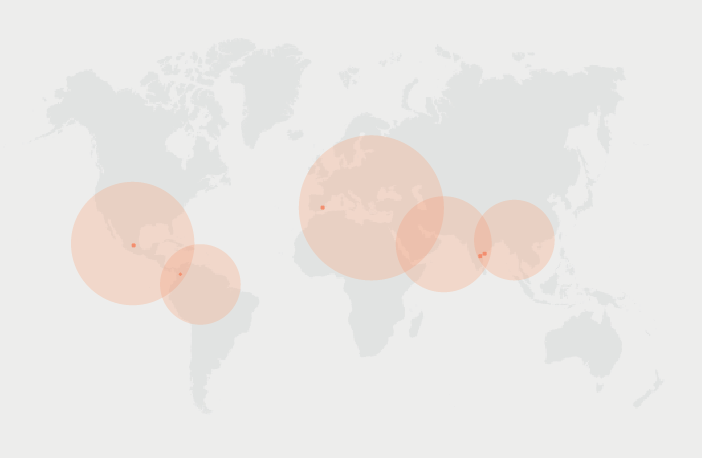 According to demand, Blendhub can deploy and install an entirely new plant anywhere in the world in less than 8 months, and have it producing in 72 hours once installed at destination. The possibilities are endless. That’s why for Blendhub and the food industry in Latin America, the future is now. Come to visit us at stand 1310 at Food Tech Summit on September 26th-27th and see for yourself how Blendhub can be your next partner. Also, don’t miss our CCO Peleg Chevion’s conference “Logistics 4.0: Cost optimisation through a global, decentralised production network” at Food Tech Talks Auditorium, on Wed. Sep. 26th.